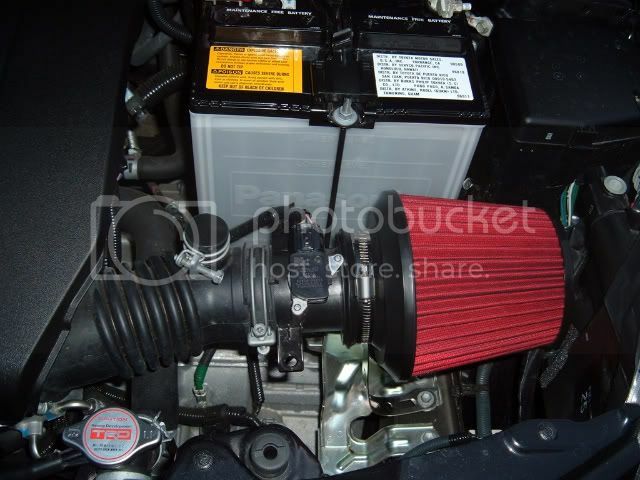 Cheap way out..... remove stock air box, replace with 3 1/2" inlet filter. I used a Fujita filter for mine. Looks like a good way to go. Do you feel any difference? not really, I have a Magnaflow exhaust also. i have the weaponR intake... for what i paid and the pieces i got.... i wish i woulda made my own. Has anyone that installed the Fujita intake noticed a power gain? I hear K&N makes one as well, but pricey. I live in Cali and unless it's C.A.R.B. legal then I will have to take it off and replace a CAI with the stock box for smog. Come on TRD, help us out!!!!! AEM, where are you???? It's not about the rides, it about the friends you make along the ride!!! Yeah, sounds alot better with the intake / exhaust on. I love my Magnaflow, nice low deep tone. The TRD exhaust sounds really good too. Oh, also if anyone wants to get rid of the goofy handle thing on the stock intake, I found a solution. Found a 1" nylon plug at Lowe's, in the specialty drawers by the nuts/bolts section. I was going to get one of those axlebacks from PrecisionMuffler.com they make for the xD, since theirs was a lot cheaper than the TRD ($270 vs. $450), and they used a Magnaflow can... but then I found a TRD listed on Ebay for $219 starting price, and no one else bid on it, so I got it for the $219 plus Free Shipping! And the TRD is pretty polished stainless steel, the precisionmuffler one was not... so, what the hey, I ended up with a really cheap and really shiny TRD axleback instead! Last edited by Cylon_xD; 06-17-2009 at 10:29 AM. 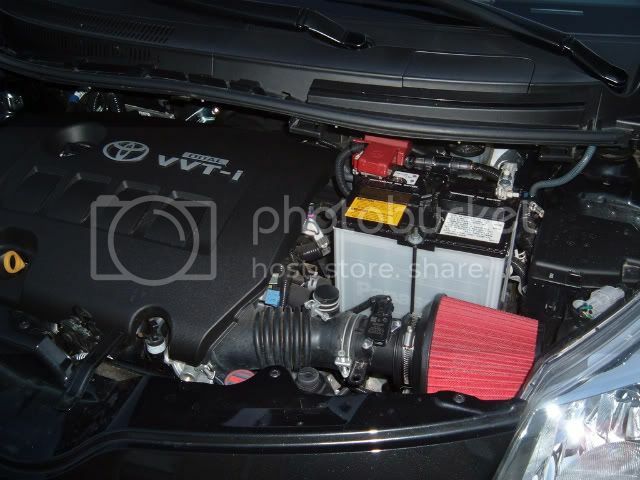 Has anyone replaced the stock air filter with the TRD? I did and noticed a nice change in the TRD exhaust sound but can't really feel any power gain. SOMEONE PLEASE MAKE A C.A.R.B. LEGAL INTAKE!!!!!! Not sure about C.A.R.B. legal, but here is something I hadn't seen before. Scroll down to Scion, then xD and click on "video" to watch dyno run. Turn up your volume. I have seen it in person and know the girl who owns the xD. She is from SE So Cal and it is not C.A.R.B. legal but she said she noticed a definite power gain. So those of you who can get away with it she claims its the best out for now. I was thinking long term and added the supplemental insurance to my ride, so every mod I do has to be TRD or not illegal in Cali. The car in the video looked like a RS1 at first, but then looked like a reg xD with a 5axis kit painted hot lava. Martin is on here too! Sweet! I know where the Injen came from too. Still think it's the only one for now right Martin? 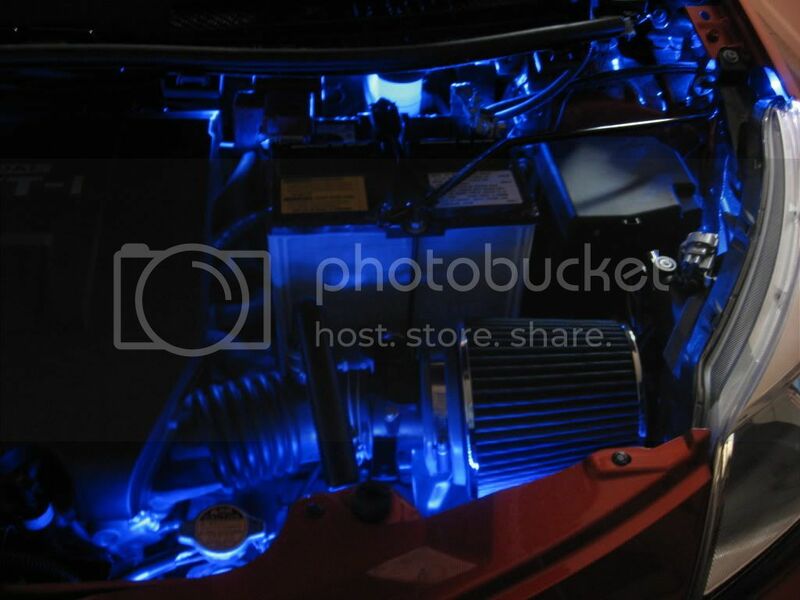 Cool DIY intakes guys. 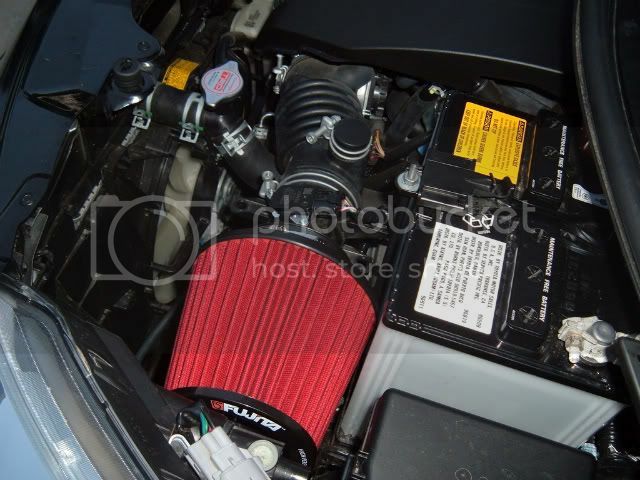 IMO the Injen CAI is not to bad for the money, I like the way you can run it as a CAI or a short ram intake. INJEN intakes have been produced and will be ready for shipment tomorrow. If anyone wants to place an order just let me know.